Since 1996, Marian has been a veteran concert producer for Bread & Roses Presents, producing over 200 hundred concerts a year for isolated people in the San Francisco Bay Area. As a vocalist, she has also performed many concerts for Bread & Roses, as well as benefits for other organizations in collaboration with other musicians including Tim Cain, Steve de Laet, the late Steve Keating, Rich Kuhns, Lynn Asher, Amy Carr, Marianna August, Bruce Victor and many others. She co-founded the annual Bread & Roses Holiday Chorus with Claudia Russell in 2011. She was a featured singer in an acoustic Americana trio called Rosewood for over a decade with Steve de Laet and the late Steve Keating on acoustic finger-style guitar and vocals. Their repertoire was mainly upbeat songs from Bessie Smith to Tom Russell, the Beatles to Steve Keating’s striking original songs. Rosewood put forward the power of harmony for audiences small and large. Click here to see a link from one of their live shows — an autumn review at the Little Fox Theatre in Redwood City, CA November 11, 2012, hosted by Ryland Kelly and Mike Jacoby. 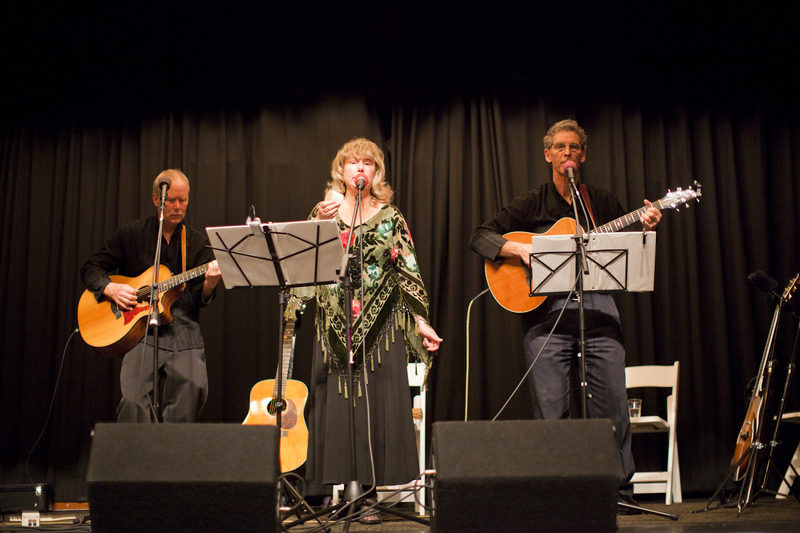 Marian also sang with The Triplicates (Rory McNamara, Tom Neylan and Bruce Victor) and has collaborated with many other musicians through the years. She produced her own “Circle of Friends” concert at the Acoustic Vortex in June 2011 and at the former Larkspur Cafe Theatre in 2006. She also appeared with The Sirens of San Francisco (Stevie Coyle and Bruce Victor) at Elagaia Cultural Center in Argos, Greece. She has sung for benefit concerts for various causes at many venues including Mill Valley’s Throckmorton Theatre. At Angel Lights Benefit, Corinthian Yacht Club 12/1/2011 with Steve Keating (left) and Steve de Laet (right). For booking, contact: marian@marianhubler.com or marianp.hubler@gmail.com.